Posted on May 20, 2016 at 10:00 am. Dishwasher detergent can be a tough thing to make yourself. So little is used throughout the cycle, various water qualities, hardnesses and particulates make for varying qualities of clean, and detergents are pretty near impossible to make at home. The best cleaning of organic matter (food) happens at basic pHs, while many people advocate adding vinegar to the rinse by way of the rinse aid compartment or a dish in the top rack. Abrasive detergents will degrade finishes on dishes and etch glasses, while a non-abrasive dishwasher detergent will not clean particles off of dishes at all. All low-detergent formulas will require more frequent cleaning of your dishwasher. Detergent-heavy commercial cleaners work at much wider pH and hardness ranges, making them suitable for more situations. Nothing at a store near me is both powdered and fragrance-free, so I have to make it myself. I originally started with an acidic and abrasive formula. I believe I found this or something like it on a website, but I can’t for the life of me remember which one. This is *not* my final recipe. Mix together dry ingredients in a bowl. Let sit on counter and mix periodically until it stops getting hard, and then put into an airtight container. Use about 1 to 1 1/2 Tbsp per load and put a dish of 2-4 Tbsp dishwasher detergent in the top rack for rinse aid. I found that this cleaner eventually started to etch dishes, and was not impressed with the outcome. Cleaning power also left something to be desired, as I couldn’t wash any margarine-, mayonnaise-, or peanut butter-based knives without leaving hardened streaks all over them. I fully support the idea that you should NOT put vinegar into your rinse aid compartment as rinse aid. It will degrade rubbers and plastics quickly, ruining your dishwasher. Only put 2-4 Tbsp in a dish on the top rack. The vinegar will acidify your wash water, so adding too much can change how well your detergent cleans. Just the right amount will leave your glasses sparkling. Play with proportions a bit to find what’s best for you. You also should not use soap in your dishwasher detergent, especially if you are using vinegar. Soap will de-saponify in the presence of acids, leaving oils on your dishes. This is why my detergent is soap-free. I came to the conclusion that I needed to make a less abrasive, basic detergent. 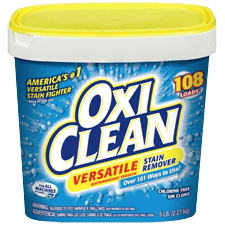 Inspired by my success with using enzymes in pet stain/smell cleaners, I decided to use enzymes to boost my dishwasher’s cleaning power, reduce the amount of borax, and add more washing soda. I do find that you have to be careful not to rinse dishes too MUCH, so that the enzymes have something to attack, but I’m mostly happy with the cleaning, even though we’re kind of gun-shy on sticking peanut butter or margarine knives in. Mix in a dry container. Use about 1 to 1 1/2 Tbsp of detergent per wash – too much powder can lessen cleaning power. Don’t use too much vinegar as rinse aid. I like this formula, and will continue to use it now unless I come across something better. Almost all of the dishes are sparkling clean, and the glasses are shiny. Using cleaners that contain little to no detergent means more frequent dishwasher cleanings are required. Fats and oils can build up, and when performance begins to suffer, only an empty cleaning load will fix it. I tend to disassemble my dishwasher’s filter and wipe it clean about once every week or two. I have a Bosch, and all filter parts are very easy to remove. When that doesn’t cut it, I switch to a borax and baking soda clean. How badly performance is suffering determines how deeply I clean. For minor performance issues, I shake about 1/2 cup borax into the bottom of the dishwasher and run a half cycle with no dishes in it. For major performance issues, I add about 1/2 cup of borax and 1/4 cup baking soda to the bottom of an empty dishwasher, start the cycle, then partway through add an additional 3/4 cup borax and 1/4 cup baking soda, close, and continue. Anything between those two extremes will work depending on the level of soil. My dishwasher’s performance has never failed to return to normal after this treatment. I then clean the filters and add dishes as usual for the next load. Have you found an effective homemade dishwasher detergent recipe? Have you tried this one? How did they work for you? Comment below. I’ve been very happy using a 1 to 1 mix of washing soda and borax, with vinegar in the rinse, for a few years now. As long as the water softener has salt and is doing it’s job, dishes are clean. Dishes covered with melted chocolate & butter, or a lot of hard boiled egg, need to be soaked first, but peanut butter and straight butter are fine. If the water softener is out of salt the dishes quickly get a film on them, that feels weird. That gets cleaned off with vinegar. Good tip for people with water softeners. Thanks! Just be careful about using a small enough quanitity of borax that it will fully dissolve, and avoid putting vinegar into your rinse aid dispenser to prevent degradation.